Jeremy C. Fox, a correspondent for the Boston Globe, has covered local news and arts since 2005. Andrew Elder is an archivist at the University of Massachusetts Boston and a board member at The History Project, a community-based archive that preserves New England’s gay, lesbian, bisexual, and transgender history. Together, they have documented the history of the Orange Line using images from the Boston Public Library; the Library of Congress; local photographers, both amateur and professional; and other sources. Interested in scheduling an event with the authors at your organization, school, library, or historical society? Retailers: Contact 888-313-2665 or sales@arcadiapublishing.com. Information on purchasing signed copies from the authors. 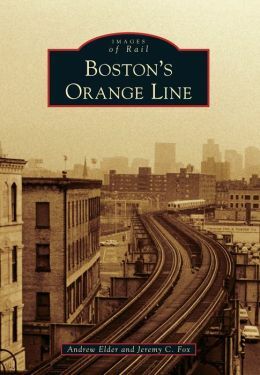 Boston's Orange Line was published on October 21, 2013 by Arcadia Publishing.